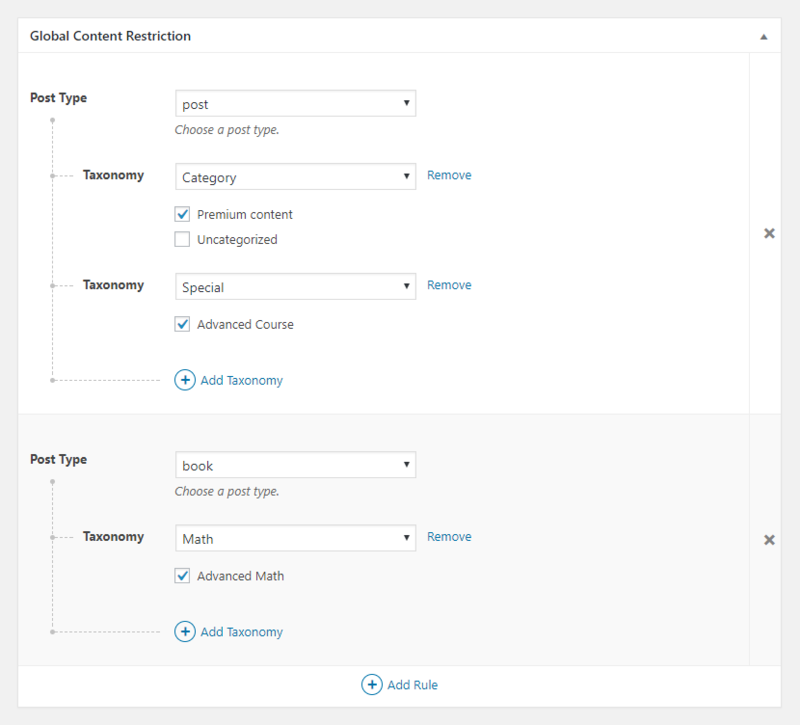 This add-on allows you to add Global Content Restriction Rules to Subscription Plans, based on Post Type (Post, Page or Custom Post Type), Taxonomy and Terms. 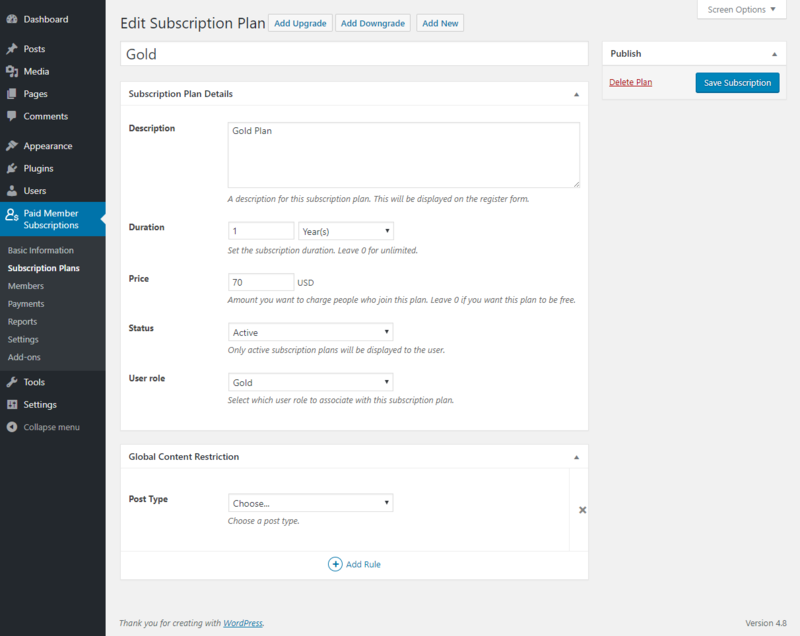 It provides an easy way to restrict content globally per subscription, instead of doing it for each Page, Post or Custom Post Type individually. Find out more by reading this documentation for the Paid Member Subscriptions – Global Content Restriction Add-on.